Tidbits from me, my life and whatever I feel like talking about. Coconut Butter, Coconut Oil, Shredded Coconut, Coconut flavored things - mmm~! Have you ever had a legit coconut? Have you ever tried it?? The texture is SO weird! It's almost like a jelly and it's all slimy and I just wasn't a fan. The main difference is obviously their stages of maturation...young coconuts are...well, younger. The brown coconuts are older and basically more dried up. 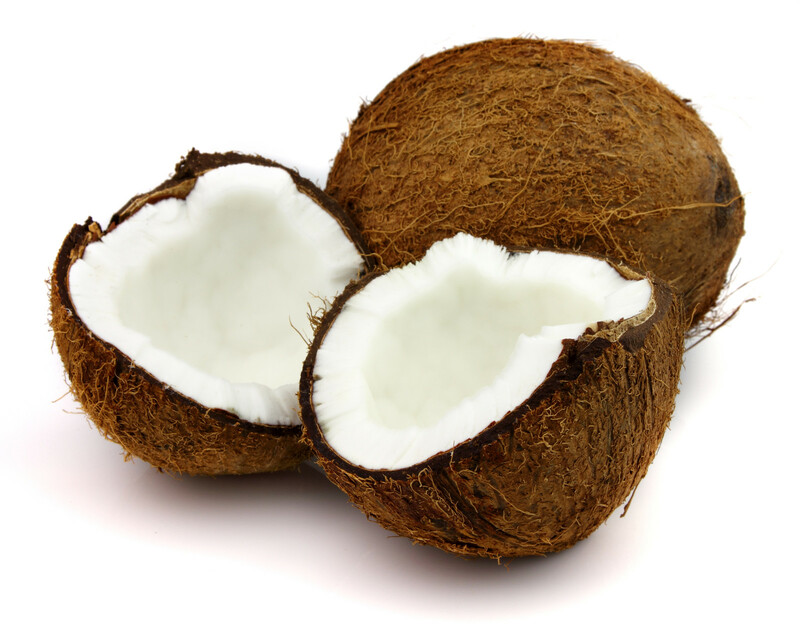 They don't have as much water inside and their 'meat' is much more solid than jelly-like (in the young coconuts). Young coconuts are only good (in my case) for smoothies. For snacking, I definitely want the withered up brown coconuts thank you very much! Which do you prefer? Have you tried them both? (Images from google, of course). I am proud to say that I have had coconut straight off the tree! My question to you is, how do you open the young coconut? Cause it looks like most of the husk is still on it! Of course you have! Your all exotic ;) haha. That's not my picture...tis google! I didn't take any pictures. I got all the husk off. I just didn't like the young coconut innards... too slimy! Well my name is Trudy. I'm somewhere in my 20's, living in Canada and was fairly recently married. I love my cats George and Bruce, sunny days, cereal and most importantly... ice cream. ;) Stay a while and read my ramblings! Feel free to email me at trudyjohnson11@gmail.com -- Toodles!